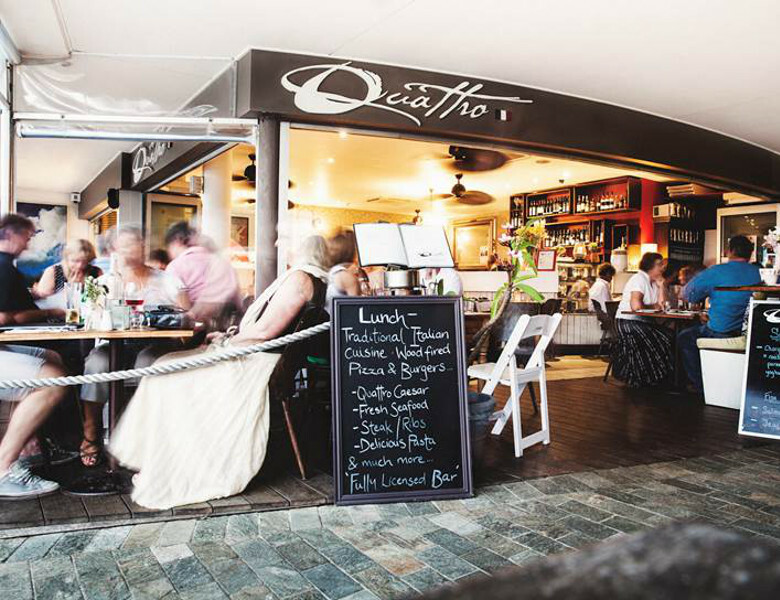 Quattro offers an extensive mouth watering menu focusing on traditional Italian cuisine and located right in the heart of Lennox Head. Providing a relaxed atmosphere, offering delicious quality food for any occasion, casual or intimate dinner. Family friendly restaurant, relaxed dining with great atmosphere. Across the road from the beachfront, very popular with the locals.